Win2PDF 10 creates PDF, as well as PDF/A, XPS, TIFF, and SVG files from any Windows Application. Win2PDF is a virtual printer, so all you need to do is print from any application to create a PDF. Win2PDF also adds a virtual printer named Win2Image that can save to JPEG, TIFF, GIF, PNG, or BMP formats in both color and monochrome. 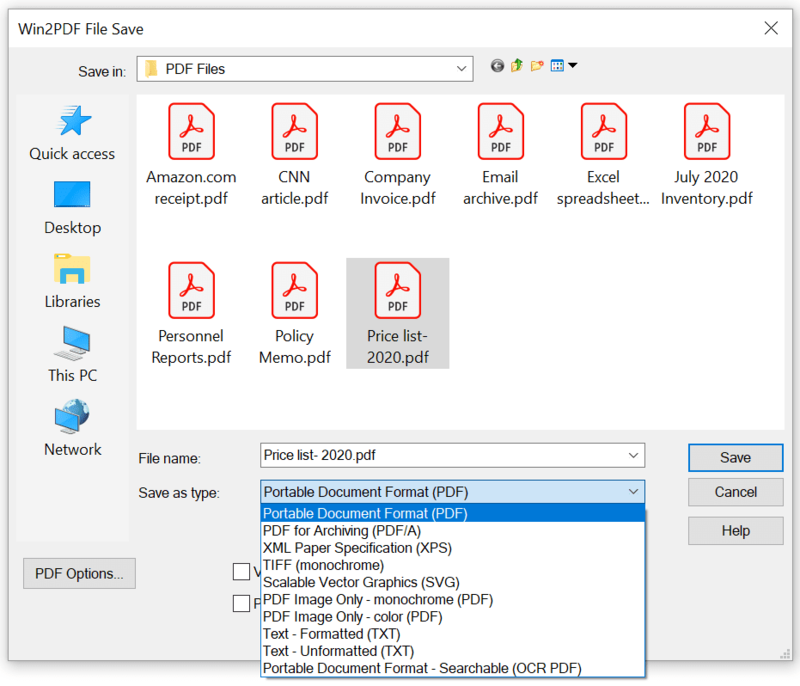 Win2PDF allows you to interactively merge PDF files by printing new content to the beginning (prepend) or end (append) of an existing PDF file. With Win2PDF Desktop you can merge PDF files, extract pages or delete pages from existing PDF files. Integrates with Outlook, Outlook Express, or other MAPI email clients to automatically attach created files to e-mail messages. 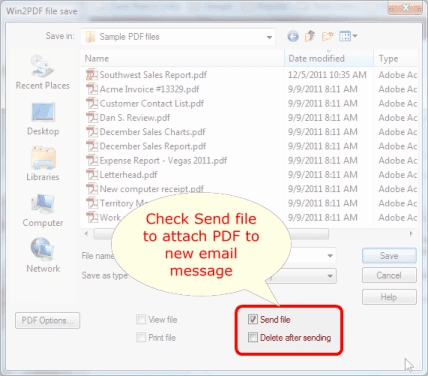 Choose to save the .PDF file or have it deleted after it is sent as an attachment. 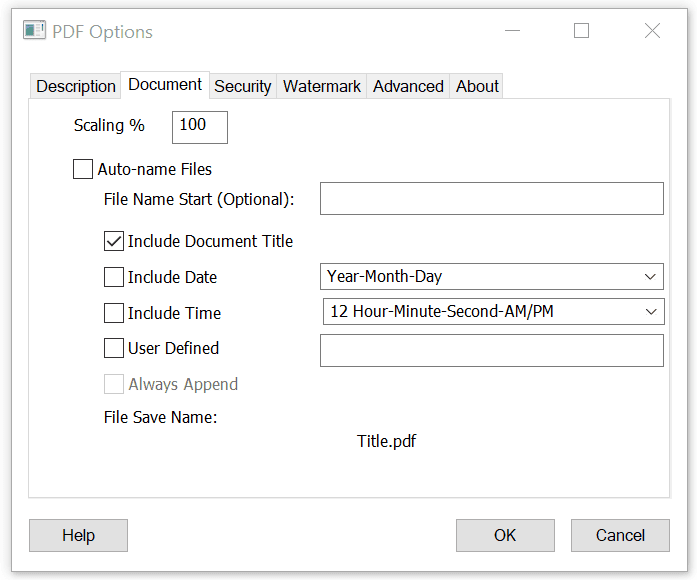 Win2PDF can be configured to automatically name files and bypass the file save window. Files will be saved to the chosen location automatically. The naming can be configured to include a date and time stamp, and files can be automatically appended or saved separately. Multiple instances of the Win2DPF printer can be created, each with a separate auto-name configuration. 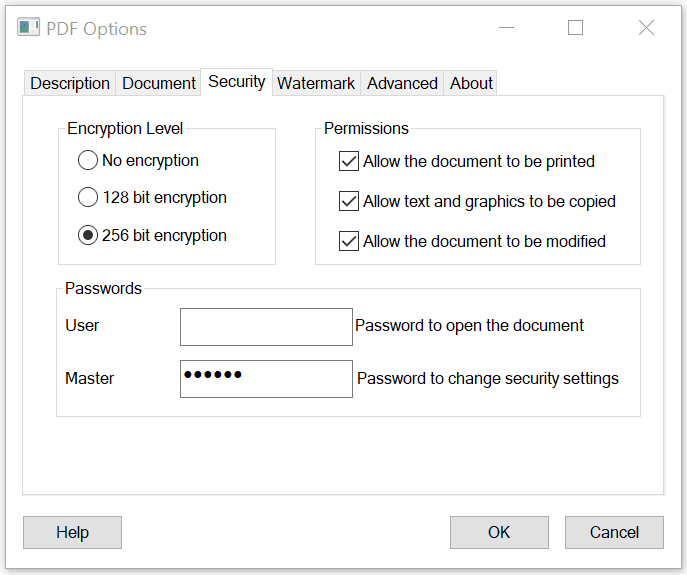 In addition to all of the features in Win2PDF, Win2PDF Pro can password protect documents to prevent modification, or to require a password upon opening the document. Win2PDF Pro allows you apply watermarks (appears beneath page), or stamp (appers on top of page) when creating a PDF. 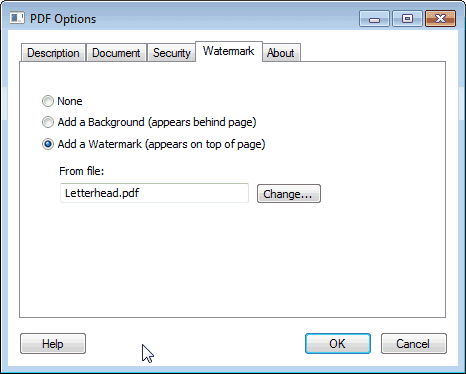 The watermark or stamp uses a second PDF that is configured in the "PDF Options" window. Win2PDF Terminal Server Edition (TSE) and Win2PDF Pro Terminal Server Edition (TSE) have all the same features as their workstation versions, but are adapted to handle multiple simultaneous users in a Terminal Services, Remote Desktop Services, or Citrix Environment. Using the free Win2PDF Admin Utility, administrators can disable features and set default security options for all users on the server. Win2PDF TSE and Win2PDF Pro TSE are licensed per server, with no limit on the number of users per server. The Win2PDF Server products do not support printer sharing. 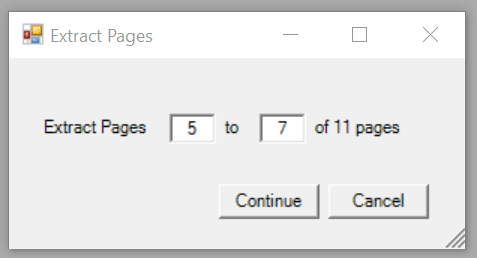 Contact sales@win2pdf.com for volume deployment alternatives.